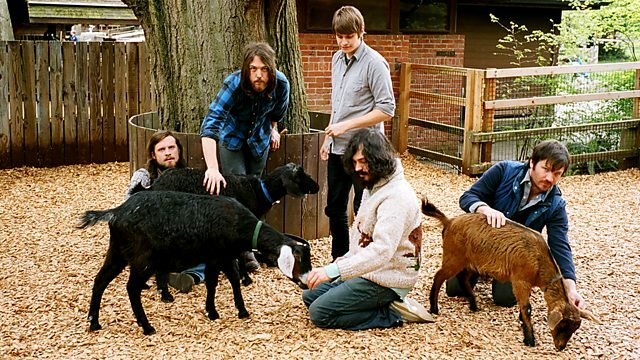 Cultural highlights programme featuring Seattle band Fleet Foxes and original punk poet John Cooper Clarke, and a look at Tate Modern's exhibition of Russian constructivist art. Lauren Laverne and Mark Kermode present another mix of cultural highlights. Lauren meets Seattle band Fleet Foxes, who burst onto the music scene in 2008 with a debut album rich in soaring, baroque hymns and timeless harmonies. They topped album of the year polls and saw off competition from the likes of Radiohead and Elbow to win the first-ever Uncut Music Award. Lauren catches up with the group as they prepare for three sell-out dates at Camden's legendary Roundhouse venue, and they give an exclusive performance. Andrew Graham Dixon goes behind the Iron Curtain at Tate Modern's exhibition of Russian constructivist art, featuring the work of Aleksandr Rodchenko and Liubov Popova. Andrew reveals how constructivism has long outlived Russian communism on album covers and magazines. Also on the show, the original punk poet John Cooper Clarke. His acerbic, witty observations on life in post-war northern England inspire bands like the Arctic Monkeys and Reverend and the Makers, but why was his fame so short-lived? As he turns 60 we speak to him about a life on the literary edge.